Hanami is a special stand that is set up in the Japan pavilion in the Epcot park for the Flower and Garden Festival that takes place every April. They offer an assortment of bite sized food items and interesting drinks. I had a frozen kirin ichiban ($8.50) topped with a frozen lime slush. The beer was cold, smooth, and very refreshing. The lime topping made it extra special and enjoyable to drink because it added just a hint of citrus flavour and a frothy, icy, texture. 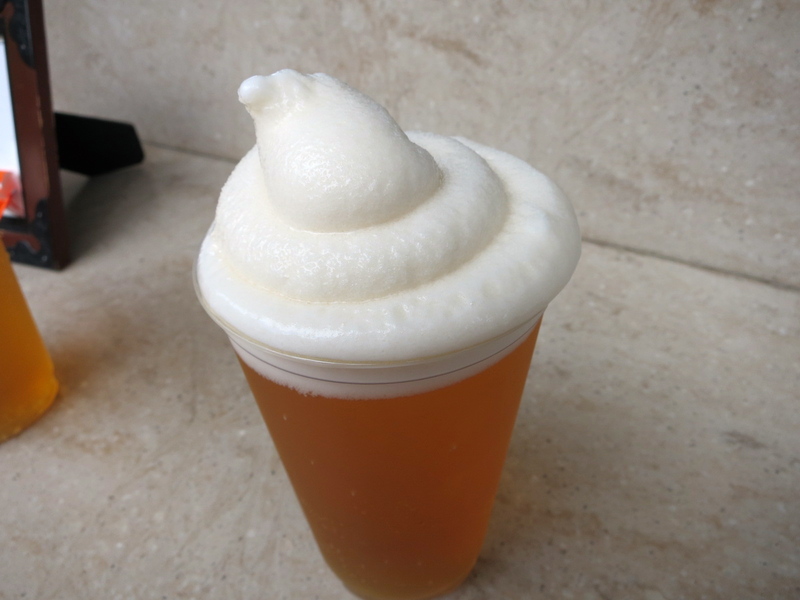 This should be a permanent item available in the parks because it is a great drink to beat the Florida heat. I also got a plate of frushi, which is a fruit sushi roll. The roll is filled with strawberries, pineapple, cantaloupe, and coconut milk sticky rice. The fruit inside was fresh and sweet and the coconut milk added a hint of creamy flavour. 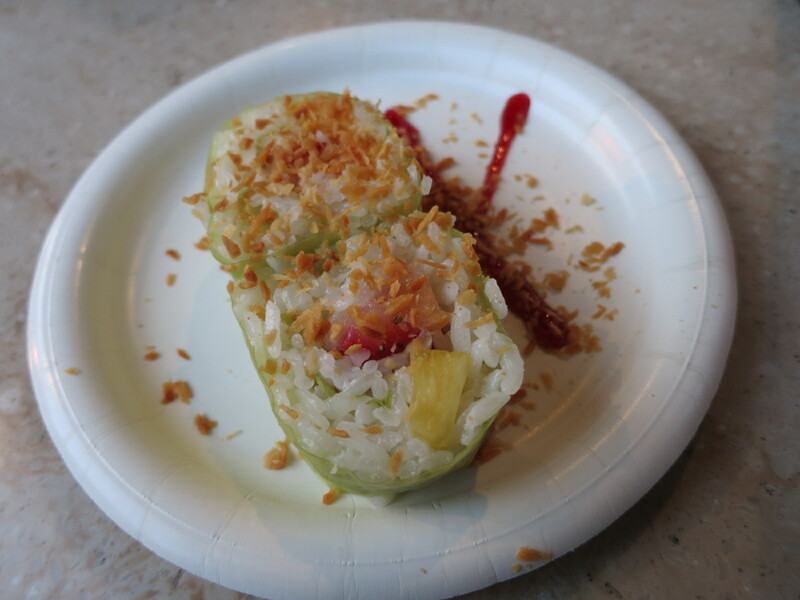 The roll was drizzled with a strawberry syrup and toasted coconut flakes (it also comes with whipped cream, but I opted out). This was a very fun little snack and something I’ve never seen anywhere else before. I enjoyed both of these items and I wish that they were permanent at the park. I would totally get them again. Yes, for fun Japanese drinks and snacks.